There is nothing like achieving goals, is there? When you set your mind to something, work like crazy, and then accomplish it? 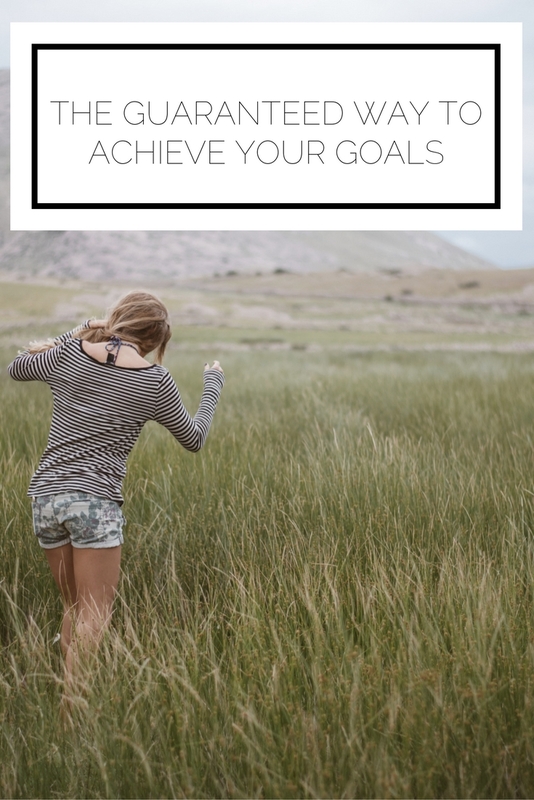 In the past I've posted about how to make your dreams a reality and how to set principles to guide you, but today I want to drill down a bit more to take a look at what actual, practical steps you can use to really get moving on accomplishing those goals. In order to figure out what it is you want to achieve, take a look at this post with some key questions to ask yourself. Once you know what they are, make a list with a timeline in mind. I prefer to make my lists by semester (I'm guessing that will change post grad...), but having a timeframe is a great way to ensure you are giving yourself a deadline for motivation. I keep this list on a small notepad on my desk (right next to the principles I set for myself for the year). This keeps them at the top of mind and will help with the next point. At the start of the day, ask: What can I do today to get closer to my goals? This is the key to make any sort of moves towards your goals. Everyday I look at that list and take a moment to figure out what I will do during the day to chip away at those goals. For example: I want to secure a job after graduation (duh), so each day I send out an application, or talk to a professional connection, or research opportunities on LinkedIn. Another example: I want to exercise 5-6 times a week so I know I only have one day where I can skip. This means that each morning when I look at the goal I realize I HAVE to do something because I might want that day off later in the week. No matter what you want to do, there are small steps that can be taken daily. Want to make straight A's? You have to study a bit each day. Want to learn another language? You have to read and practice on the regular. Sure, some goals may seem big and tough to swallow. But the more you do today, the less that has to be done in the future. Keeping that in mind and maintaining a mindset of discipline will serve you so well! At the end of the day, ask: What did I do today to move towards my goals? Just as you must start your day with the plan to get closer to your goals, you must end the day with accountability (and pride when you do make daily efforts!) to determine if you are on track. What I've learned is that small, incremental movements are the best way to maintain stamina and consistently achieve what you set out to. For much of what we want to do in life, it truly is a marathon and not a sprint. It can be all too easy to start out with enthusiasm and then allow it to fade. What will set you apart is the ability to take steps everyday. By understanding what you want to achieve and why, working small steps in to your daily life, and checking in each evening, you will be well on your way to mastering goal achievement and performing beyond what you originally thought possible. How do you work towards goals? What are you working on right now and how are you taking steps to get there?